-- The dream book that empowers the dreamer. It is purposely non-denominational to assist the greatest number of people with their dreams. 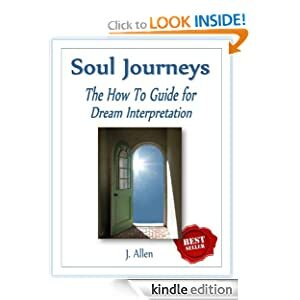 If you read this book you'll know how to interpret what your dreams are telling you. Illustrative stories are used to show how and why the dreamers came to understand the meaning of their dreams. -- From the blood and dust of New Jerusalem, the Legion of the LightBringer wages a galactic war against those who would replace their god. Now, the time has come for the Union of Free Worlds to make a stand. The front line is the idyllic asteroid world of Angelhaven, where the greatest mind in human history has discovered an elemental power with far-reaching implications. A power that both sides will do anything to harness. 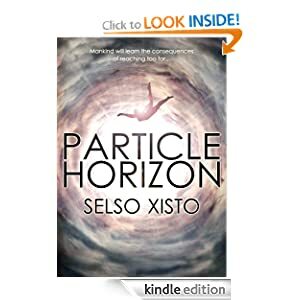 -- After many years of demanding studies of medicine, a Gift of healing chooses to manifest itself through Dr. Peter Thornton's unwilling hands. The new ability plays havoc with his professional life. The Gift becomes an insidious curse as it threatens to obliterate his promising career. 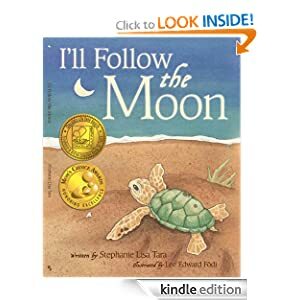 -- First-time author Stephanie Lisa Tara and Canadian illustrator Lee Edward Fodi have teamed up to create a lyrical rendition of a green sea turtle's first glimpse of life. Hatched on a moon-washed beach, the baby turtle finds its way by instinct across the expanse of sand to the sea and a rendezvous with its mother. Written in simple verse in the first person, the rhythmic text is full of action and sensory detail and loaded with alliteration and onomatopoeia for an enjoyable read-aloud. The refrain, "I'm coming, Mama.....," repeated on each double page spread, is soothing and reassuring of the joyful reunion to come. The atmosphere of a quiet but determined struggle to break free of the egg soon gives way to growing excitement as the turtle mingles with fellow hatchlings and catches his first tempting sensations: the smell of salt air, the sight of the moon's glow, the gentle touch and beckoning sounds of the waves rushing to shore. Once he's free of the land, new motions take over: gulp, spin, float, swim.... The final happy refrain is new and satisfying: "I'm here, Mama - here with you. I know I'd find you, Moon did too." 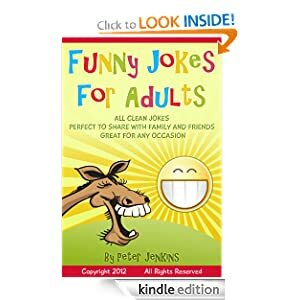 -- In this book, the Best Selling Humor Author, Peter Jenkins, has assembled some of his funniest clean jokes ever. There are over 100 pages of funny jokes in this book that are all perfect for any occasion. These jokes will keep you entertained for quite a while (unless you are a speed reader!) You will be able to read and share these jokes with family, friends, co workers and kids… everyone. These funny jokes are of the longer variety, often called story jokes - so no one-liners here. But they are easy to read and easy to remember, especially if you like retelling jokes. And many are laugh out loud funny. So what are you waiting for? 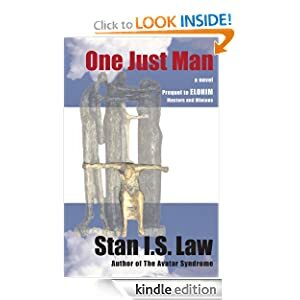 If you are ready start laughing and have your spirits lifted, let the fun begin and order this book today.